Our family’s time around the table inspires us each day to create memorable dishes that reflect our philosophy of honest, simple, Italian cooking and dedication to quality ingredients. Our a la carte menu offers a variety of traditional dishes as well as international flavors using products we find inspiring. Whenever possible, we choose local/organic producers who choose sustainable methods. As a FishSmart partner, we are committed to offering sustainably sourced seafoods from wild caught Pacific fish to organically farm raised salmon, we also serve Lake Superior Whitefish in season. Our meats come from regional coops and our fresh pastas are made in house by our second generation pasta chef. We pride ourselves on using whole ingredients and slow cooking techniques that reflect quality and expertise. No microwave in our Italian kitchen. 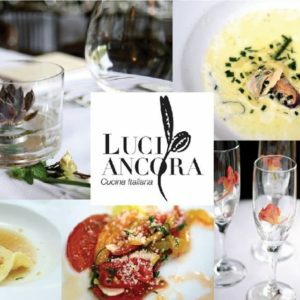 We are very fortunate to work with Sandra Jean Herbal Specialties and have done so since opening Luci Ancora in 1997. 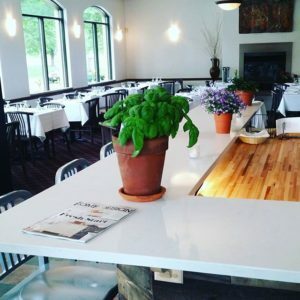 Her farm, located outside of French Lake, Minnesota supplies our kitchens with fresh produce, herbs, flowers, and eggs raised using chemical free methods that work in harmony with nature. Because we are a scratch kitchen, we are generally able to accommodate a variety of diets. New! We are pleased to report that Luci now has a full bar. Come in and check it out!